I often find myself working on my computer in dark environments. 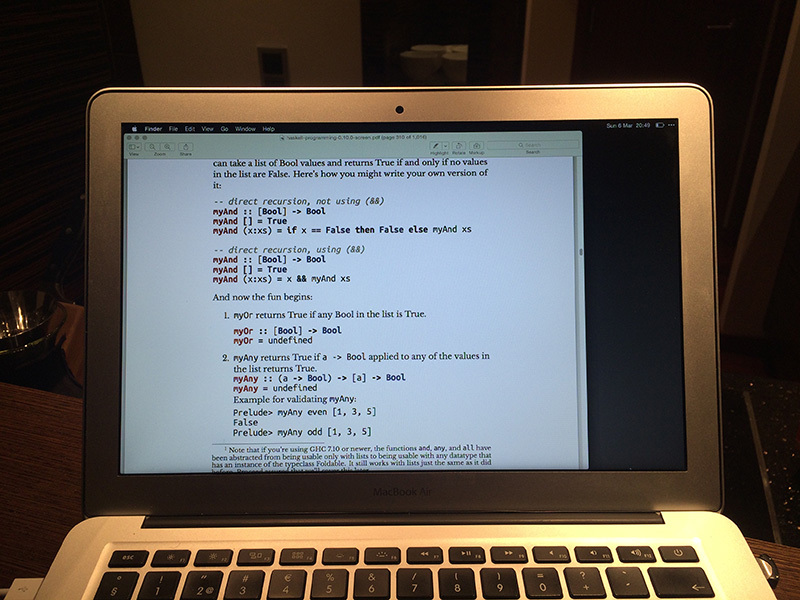 Sometimes I’ll be writing code late into the evening or typing up an article on a long-haul flight. The blinding difference in luminosity created by the computer screen is an excellent way of killing your eyesight. It’s also a great way to piss everyone off around you when they’re trying to get some sleep. To mitigate this problem, I use two tools: Flux and iTerm. Flux is a tool for controlling the warmth of the light emanating from your computer display. I believe that unless you’re a graphic designer and need to see accurate colours, everyone should be using this tool. The Darkroom feature takes care of viewing anything with a light background, but what about anything with a dark background? 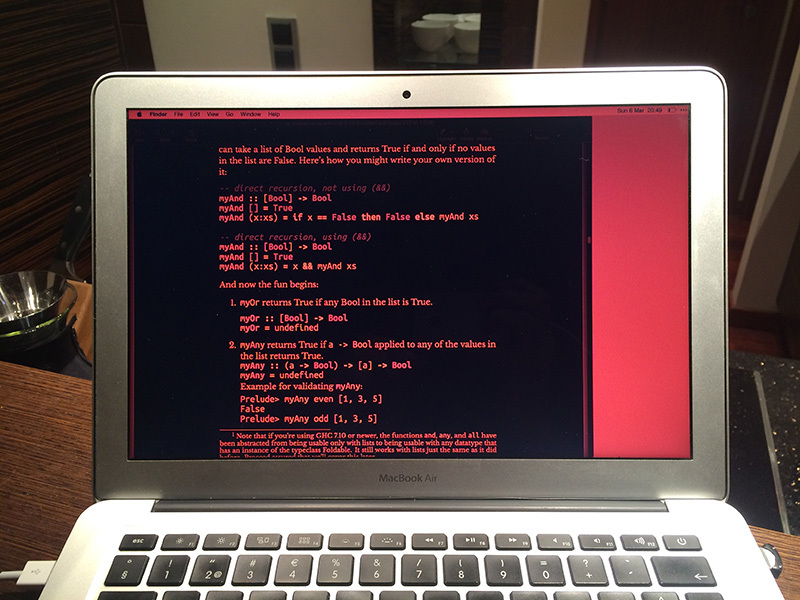 My terminal background is black and the window is full-screen, so viewing it with Darkroom enabled means I see a screen-full of bright red. Luckily, making the terminal play nicely with Flux’s Darkroom is simple enough with a couple of settings. After enabling Darkroom, I open the preferences pane for iTerm, and navigate to Profiles > Colors. At the bottom of the pane, there is a dropdown menu labelled ‘Load Presets…’. Selecting ‘Light Background’ from the menu takes care of most of that colour problem. There are a couple of further minor tweaks that I make for working in Vim (which is where I spend most of my time). And just like that, no more sore eyes!